Lera, originally from Rome, Italy, is a passionate real estate professional who has been based in Miami for the last 13 years. Her extensive customer service background as a business owner in the international hospitality industry in Italy and Venezuela, is one of her greatest assets. 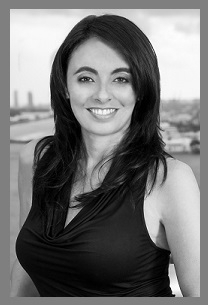 Lera credits her love of the real estate business to her own experience as an investor when she moved to Miami in 2001. Lera's primary expertise lies in sales and marketing of new development projects and has worked for prominent local and International developers such as Terra Group and Chateau Group. Her extensive International Broker Contact List for broker outreach programs allows her to travel around the globe representing the most high-end developments in Miami and the Beaches, while facilitating the acquisition process between developer and buyer. Lera is a Certified International Property Specialist (CIPS) and has achieved success and accomplishment by providing outstanding guidance, assistance, reliability and dedication to her clients. Lera offers her clients the assistance of a full team of lawyers, CPAs, mortgage brokers, general contractors as well as property management services for the absentee owners. Her relationships are time proven and solid, and many blossom into lasting friendships. She has earned a degree in accounting in Italy and a degree in Human Resources at the University of Miami. She is fluent in Spanish, Italian and English.